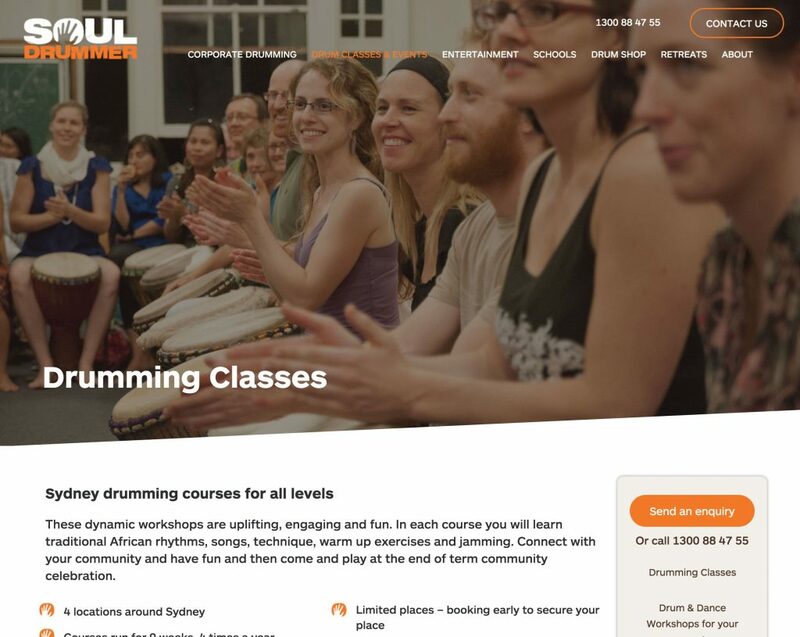 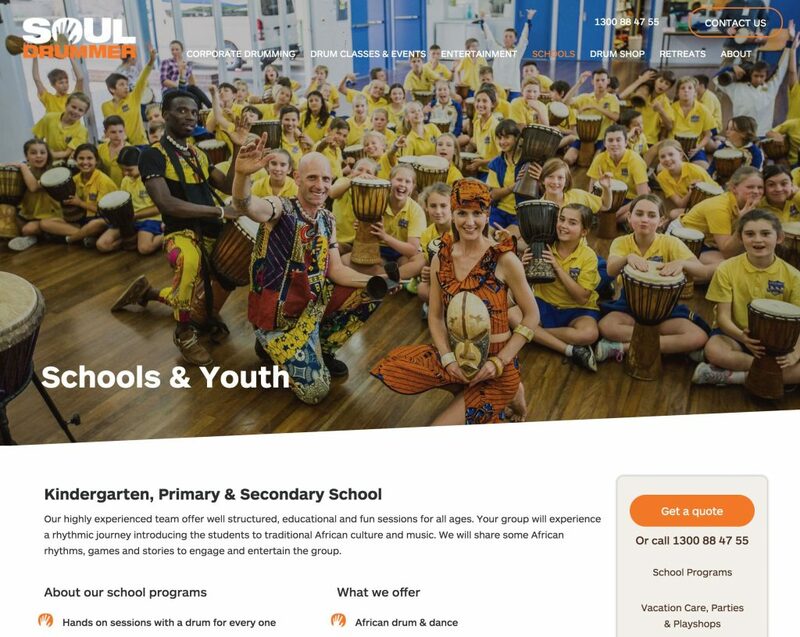 Soul Drummer are Sydney's leading corporate and community African Drumming & entertainment company. 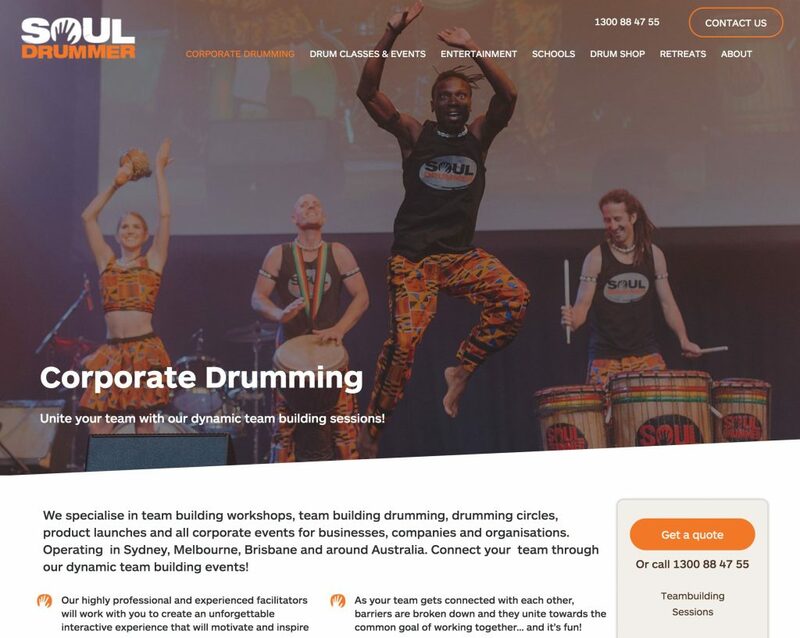 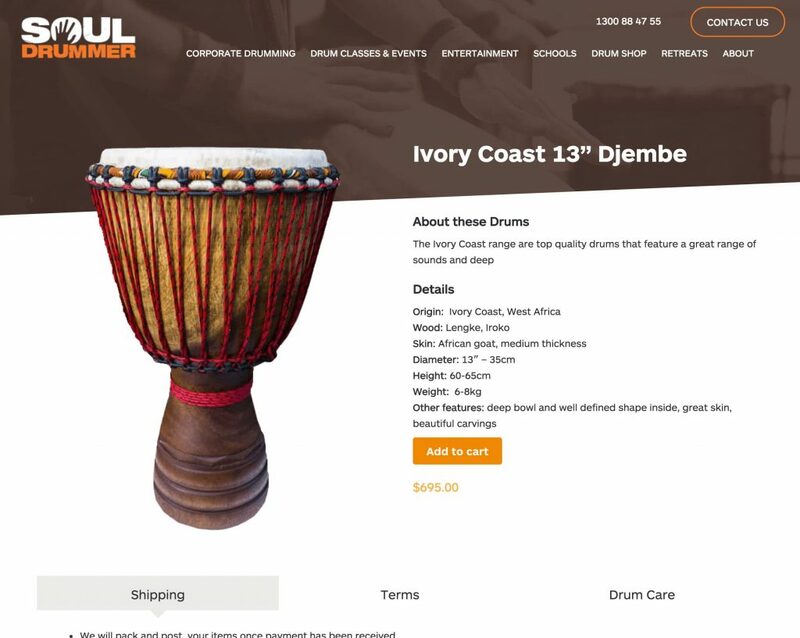 We have worked together with Soul Drummer to develop and evolve their brand for over a decade and have helped them grow into a formidable force in the African Drumming industry. 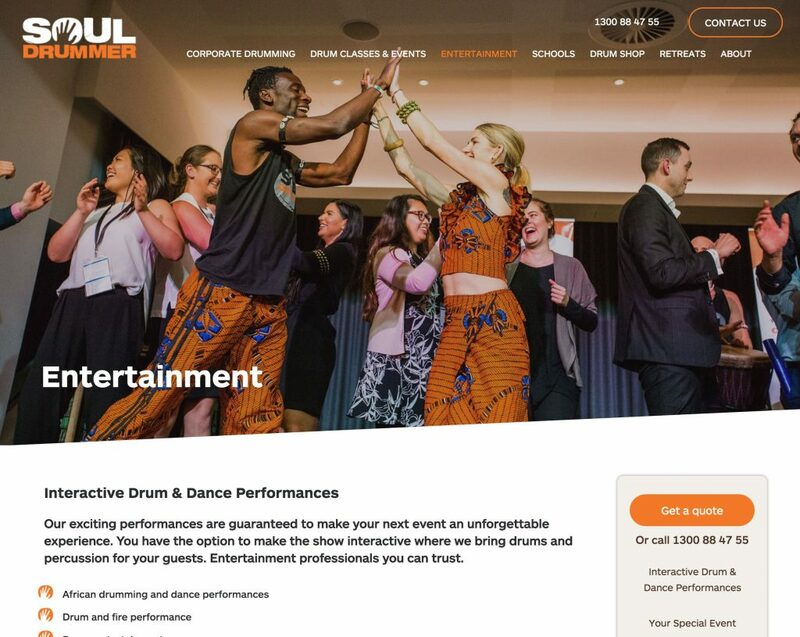 The Soul Drummer website serves to capture the wild energy and vitality of the drumming experience through imagery and video while still portraying a professional, trustworthy image with testimonials and structured content.